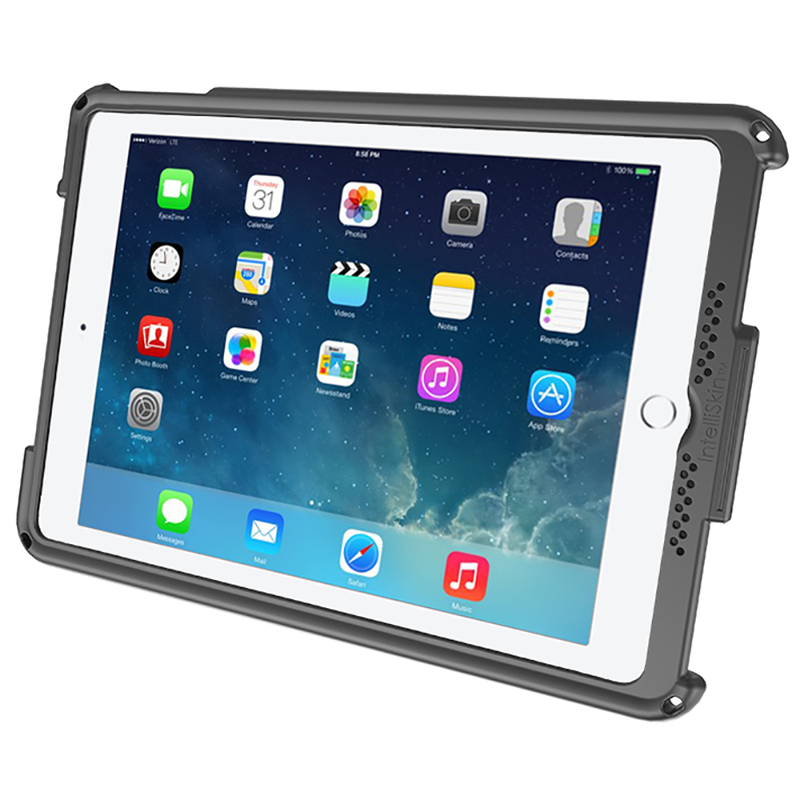 The IntelliSkin® is a protective sleeve for the Apple iPad Air 2 featuring GDS® Technology. The IntelliSkin® will bring drop protection to your device and features an integrated connector which is molded directly into the skin. This prevents damage to the connector on your device from repetitious docking and un-docking. On the exterior of the skin are molded ruggedized docking contacts designed for repetitive docking and undocking. GDS Technology™ offers a standard connector interface which makes any device wrapped in IntelliSkin® compatible with any GDS® docking station. “Made for iPad” means that an electronic accessory has been designed to connect specifically to iPad, and has been certified by the developer to meet Apple performance standards. Apple is not responsible for the operation of this device or its compliance with safety and regulatory standards. Please note that the use of this accessory with iPad may affect wireless performance.